We are your premiere provider of portable recycled concrete, asphalt and aggregate in the Midwest. At A.W. Oakes & Son, we install and repair commercial, municipal and state underground utility jobs of all sizes. 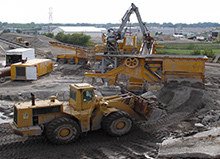 Since the inception of Oakes, our core business has been mass excavation and grading. 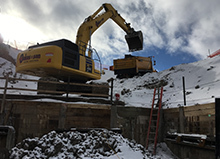 We pride ourselves on attention to detail when digging footings, foundations and column structures. 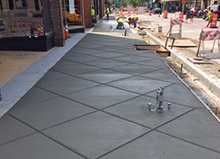 We are a full service concrete curb, gutter and paving provider specializing in private, commercial, municipal, state, and federal projects throughout Wisconsin. For over 70 years, A.W. 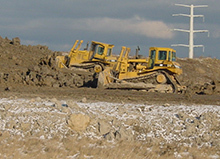 Oakes & Son, Inc. has been providing high quality earthwork construction services. Through the years we have diversified to meet our customer needs, while maintaining our excellent reputation. and Hazardous Materials Training (HAZMAT) as well as other courses.